Join us for a Christmas celebration, bluegrass style. Hall of Fame member Doyle Lawson brings is immense talents to the stage in Woodward Theatre on Saturday, December 15th. Doors open at 6 pm, show begins at 8 pm. Sales tax is included in ticketing fees. As far back as he can remember, Doyle Lawson has loved the sound of music. When Doyle was young, everyone listened to The Grand Ole Opry, and his family was no exception. Though he listened to all the stars on the Opry, the group that impressed him most was Bill Monroe and his Blue Grass Boys. His music was different, more intense, that high lonesome sound. He could hardly wait for Saturday nights to arrive so he could listen. Doyle decided early on that he wanted to play that kind of music. In 1963, Doyle left East Tennessee for Nashville and got a job playing banjo with Jimmy Martin. In 1966, he started working with JD Crowe in Lexington, KY, first playing guitar and then mandolin. In 1969, Doyle was back with Jimmy Martin for about six months but returned to Crowe's band in 1971. Doyle started with the Country Gentlemen in September 1971 and played with them 8 years. By this time, he had played in bands "that had their sound before he joined them", for more than 10 years. Doyle wanted to put together a group that would have “his sound”. To that end, Doyle formed a group, Doyle Lawson & Quicksilver, in April 1979. He was looking for “his sound” and tried many different types of songs. He wanted a strong quartet like the ones his dad used to sing with. Terry Baucom, Jimmy Haley, Lou Reid and Doyle laid the foundation for what has become the Doyle Lawson & Quicksilver sound. 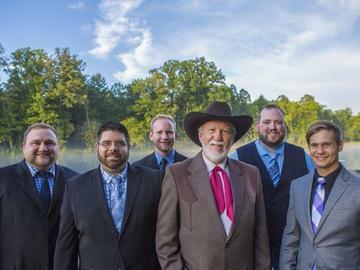 In 39 years, the makeup of the band has changed many times and Doyle jokingly tells folks that Doyle Lawson & Quicksilver is the “farm team” for bluegrass. Doyle integrates each member’s special talents into his group, while not sacrificing the Quicksilver sound. It is important to him that "people hear what they expect to hear" when Doyle Lawson & Quicksilver takes to the stage! Doyle plays mandolin and sings tenor, baritone and lead for the group. Josh Swift plays the resonator guitar and sings bass on the quartets. Joe Dean plays banjo and guitar and occasionally sings lead. Dustin Pyrtle is the group’s tenor/lead singer and plays the guitar. Eli Johnston, who plays bass, shares lead and tenor vocals with Dustin. The fiddler is Stephen Burwell.